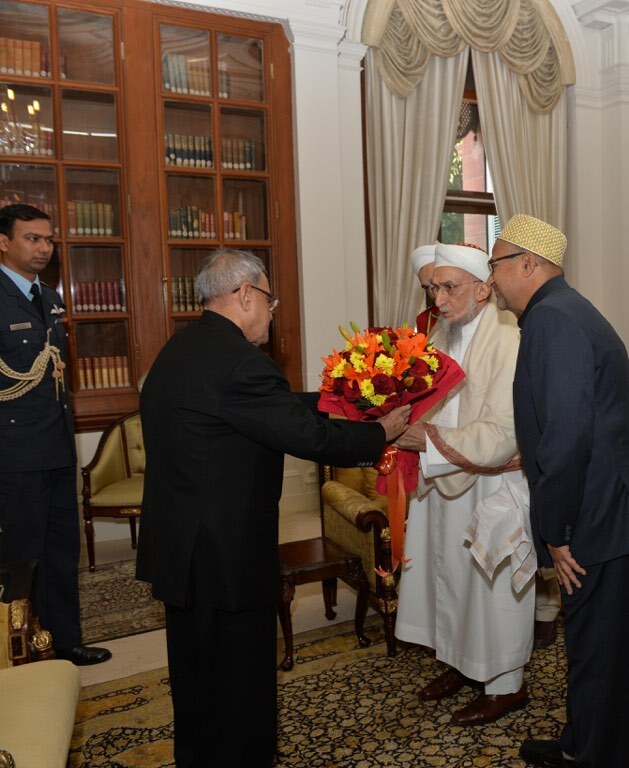 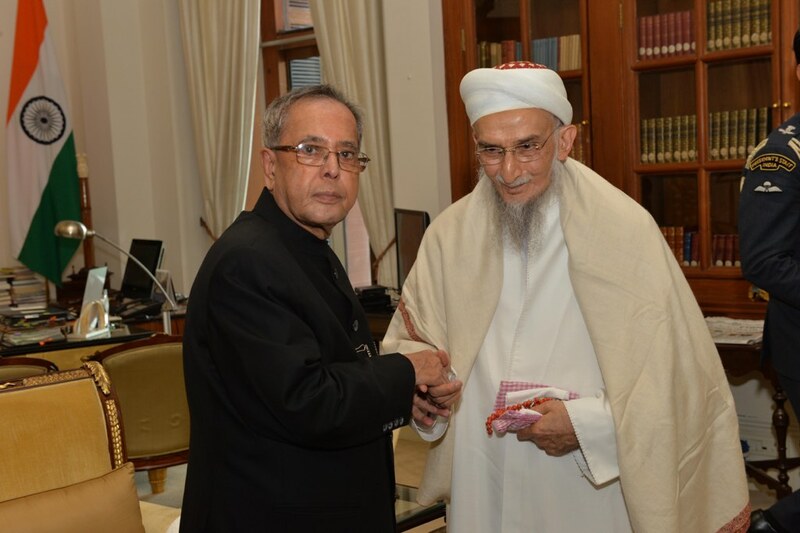 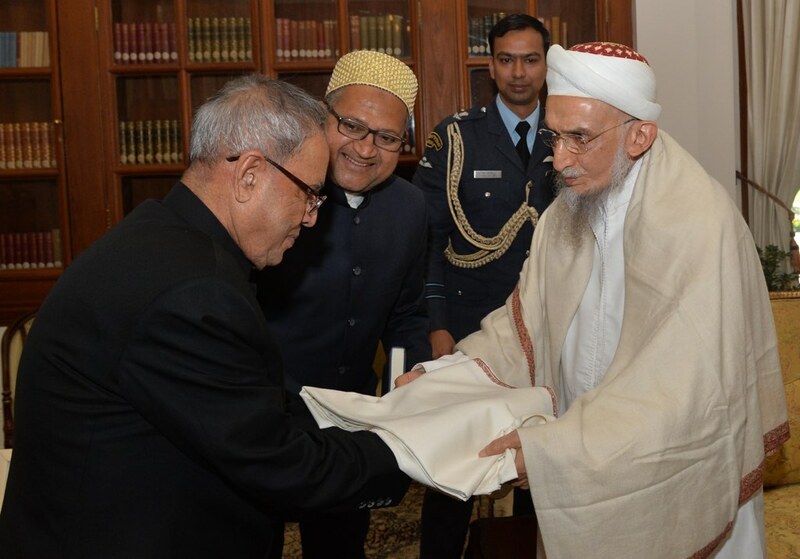 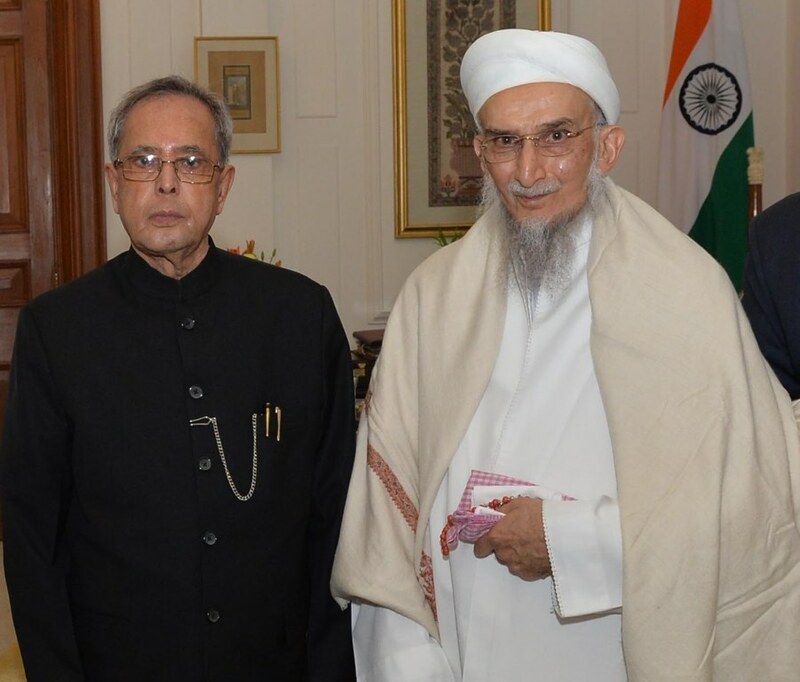 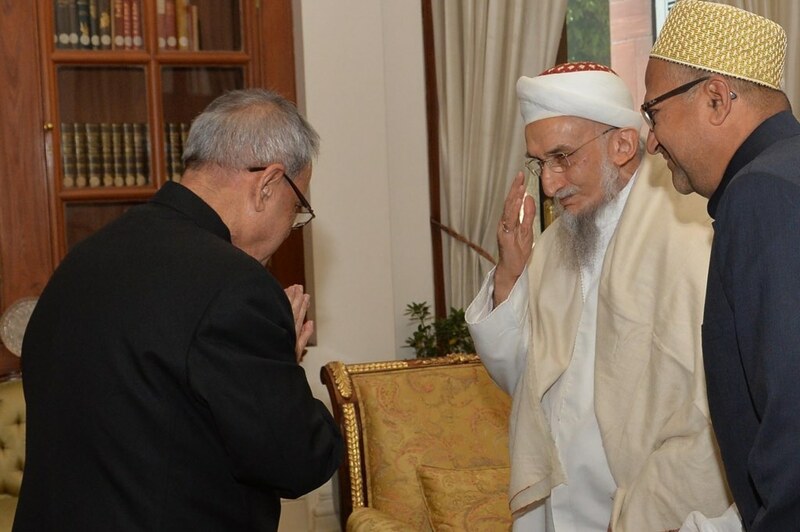 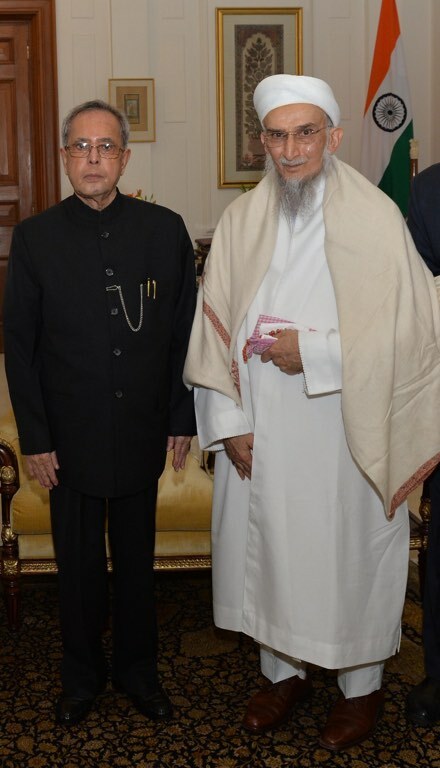 His Holiness Syedna Khuzaima Qutbuddin Saheb called on the President of India His Excellency Shri Pranab Mukherjee at Rashtrapati Bhavan, New Delhi on Friday 13th of February to convey the greetings of the Dawoodi Bohra Community. 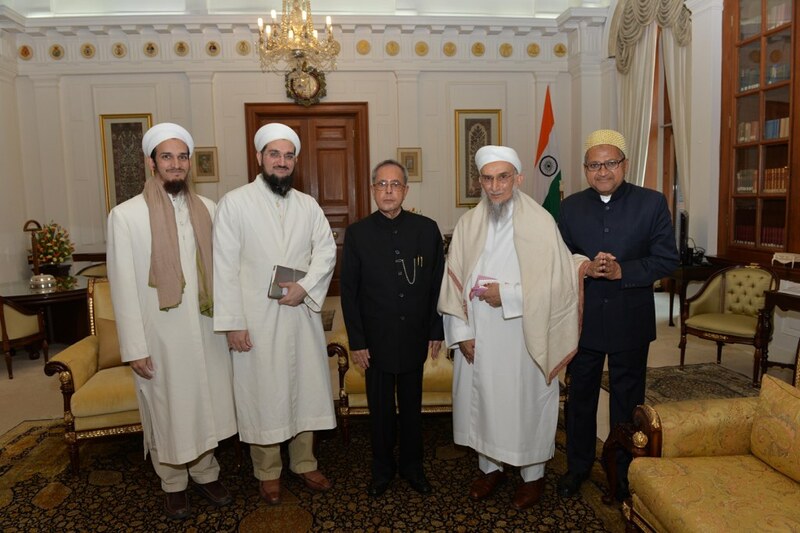 In the hour-long meeting matters pertinent to the role of the community in the future of the nation were discussed. 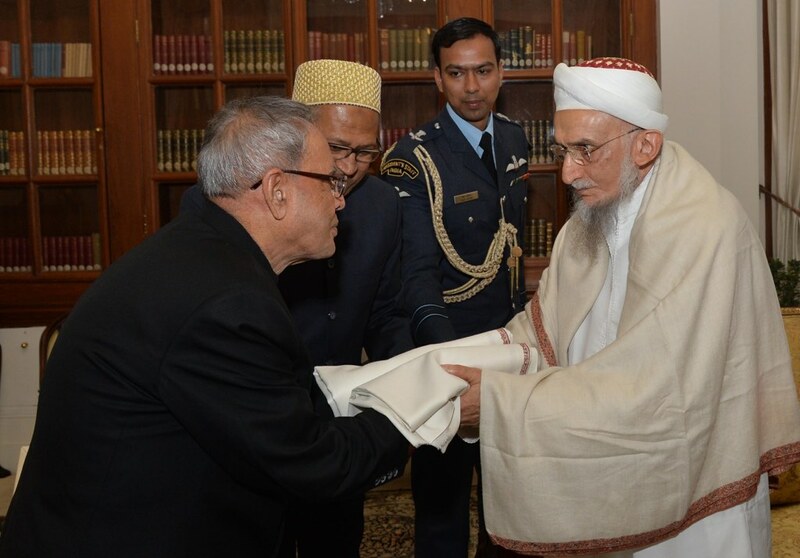 His Holiness said, as presented in detail above, that he continues the legacy of the recently passed-away 52nd His Holiness Syedna Mohammed Burhanuddin Saheb to guide the community men and women toward education, values and character building; to live as peace loving, contributing and socially active model citizens of India, in the service of the nation. 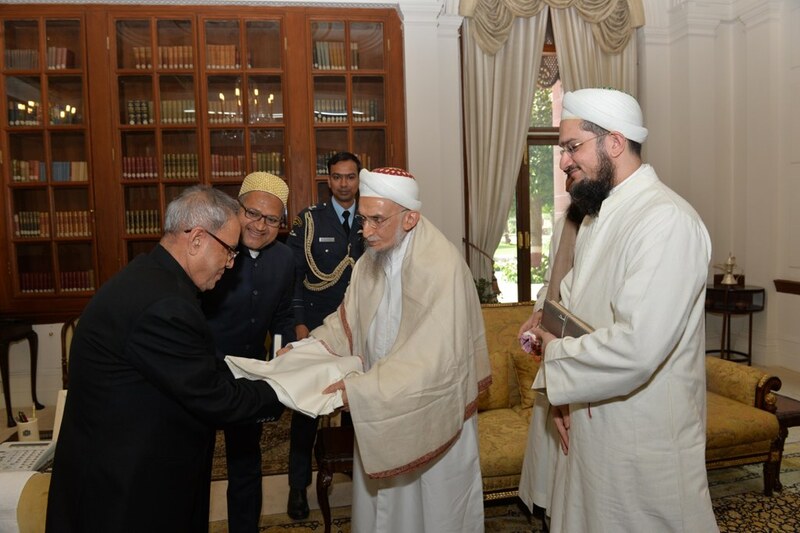 The meeting was scheduled at 1pm and Syedna TUS led Imamat Namaz in the Visitor’s Room at Rashtrapati Bhavan before the meeting. 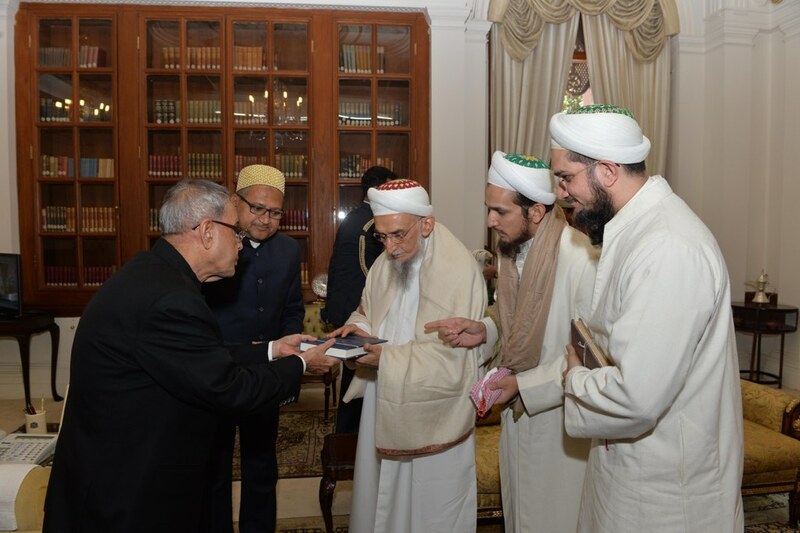 Photos of the meeting and a selection of the media coverage of the meeting is presented on Fatemidawat.com. 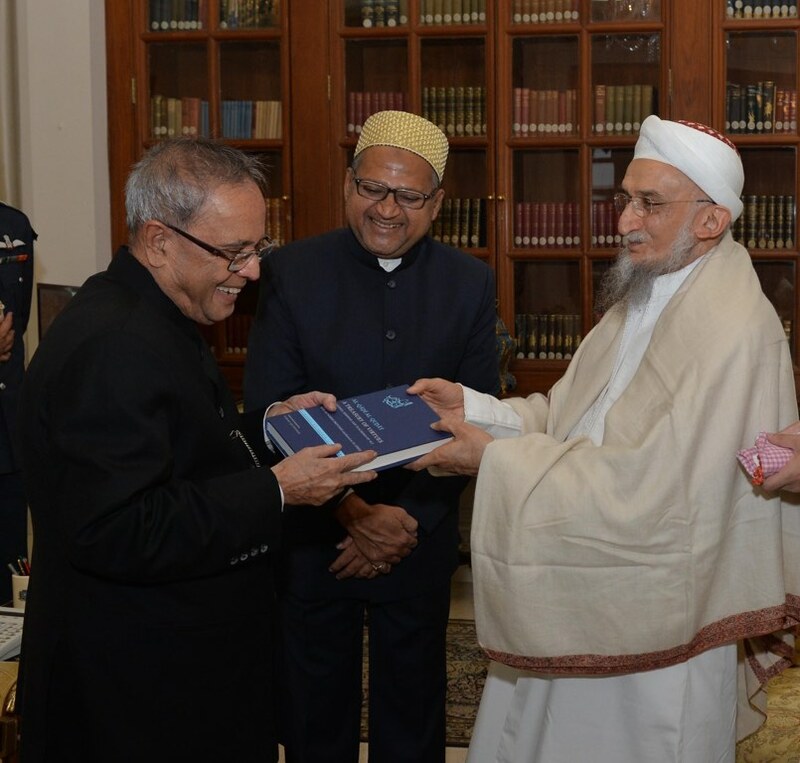 To read about the issues discussed during the meeting and Syedna Qutbuddin's discussion with the President, click here.